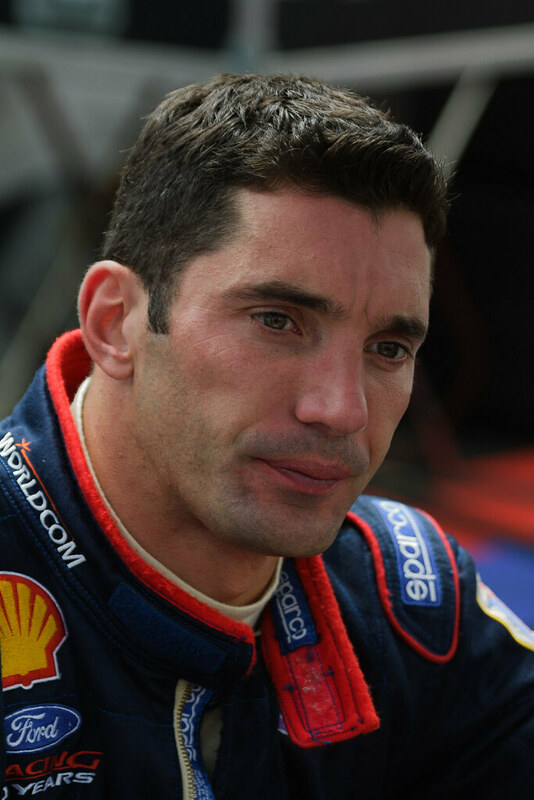 Team Rahal driver Max Papis seems lost in thought during Friday practice for the 2001 CART race in Portland, but it is not as it appears. Seconds earlier he had been smiling and giving a thumbs up while talking to his team in a debrief, I just caught him while he was listening. On the other hand, it does I think capture some of the uncertainty and pressure of the start of a race weekend, when in a competitive series even a small mistake can have a big impact. On this weekend Max would have nothing to worry about, he won both the pole and the race. This entry was posted in Sports and tagged CART, IndyCar, Max Papis, Oregon, Portland, Portland International Raceway, racing, Team Rahal. Bookmark the permalink.